Early Animal Collective adopters — real-time fans of everything those Baltimore-based explorers crafted on and before 2003’s Here Comes the Indian — can probably remember a time when they would’ve scoffed at the idea of a successful pop-music career for the band. Even more preposterous would have been the notion that band member Noah Lennox, aka Panda Bear, would have a prolific solo career apart from the group’s full-band output, releasing a handful of critically lauded records and participating in collaborations as high-profile as his recent appearance on Daft Punk’s Random Access Memories. That would be like suggesting that Lightning Bolt’s Brian Chippendale would be seen drumming on the next Beyoncé record — a cool concept, perhaps, but not likely to manifest in any tangible light. But it’s definitely not ‘03 any more. Since 2004’s Sung Tongs, Animal Collective (as a unit and independently) have been actively experimenting with ways to combine their rather bizarre sonic creations with elements more traditionally associated with pop. And Lennox, who hasn’t lived in the United States for about a decade, has slowly outed himself as the member most willing to sail his vessel into uncharted waters. With each solo release, he’s found new ways to re-innovate his approach while still reminding long-term fans why they were interested in the first place. In the aftermath of that aforementioned Daft Punk song, that never-ending journey leads us to Panda Bear’s most accessible and dance-oriented record to date. By dance, in this case, I mean a peculiar combination of psychedelic ambiance and hip-hop beats. Amid these slow-brewing electronica anthems (they remind me more than a little of Caribou’s most recent outing) there’s a careful balance here between deep, often dark lyrical development and surging, often playful instrumentation. And just when you think you have Panda Bear’s number, he’s likely to throw a wrench in the entire affair. The album’s second half, beginning with “Tropic of Cancer,” morphs into the closest thing to Here Comes the Indian that any Animal Collective member has attempted; diving into a few tracks of ambient, amorphous shape shifting before bringing back the beat in “Principe Real” and onward. But, all in all, the record Panda Bear Meets The Grim Reaper most resembles is not early Animal Collective, nor is it a Panda Bear record. Instead, there’s a strong kinship to that most treasured of Animal Collective accomplishments Merriweather Post Pavilion. 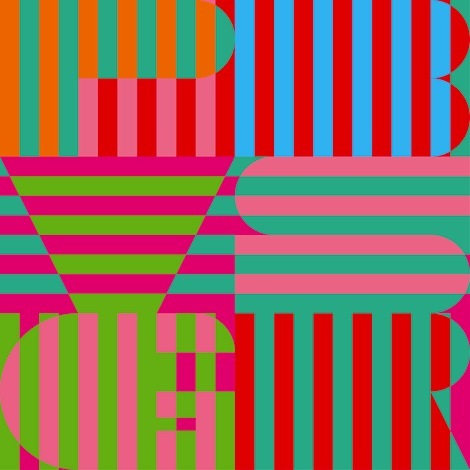 Just as the band did on that record, Panda Bear manages to pair bizarreness with believability here. And, contrary to popular assumptions, a move towards accessibility only tends to compound the oddness of this record as a whole. In the middle of jamming along to Panda Bear Meets The Grim Reaper — right as it starts to seem like the most obvious, pop-oriented move Lennox could have made — you might ask yourself “Wait… when did this become pop music? !” That’s the beauty of this LP; it’s a stealth mission to change the definition of what pop meant in the first place.